We now offer a scratch resistant 'coating' which is a sort of plastic layer sewn on top of the ribbon or fabric design. This makes them less likely to be scratched, but does mean they will take a lot longer to dry if they get wet. 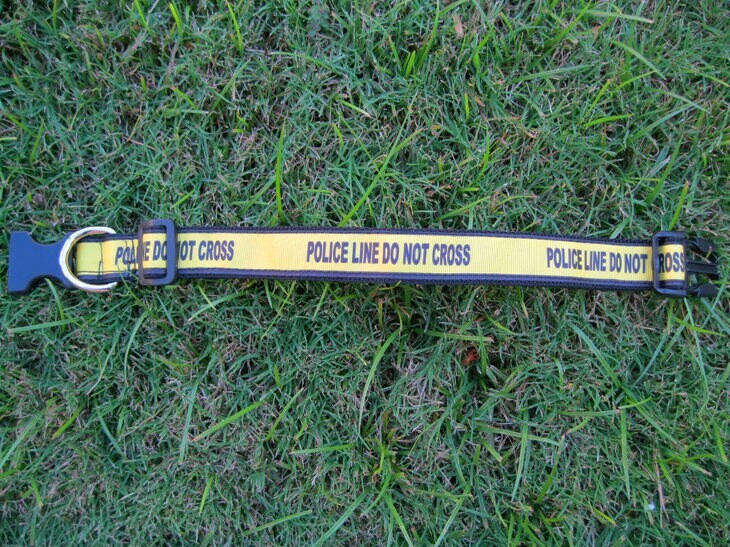 Perfect for the police officers and K9 officers in your life! 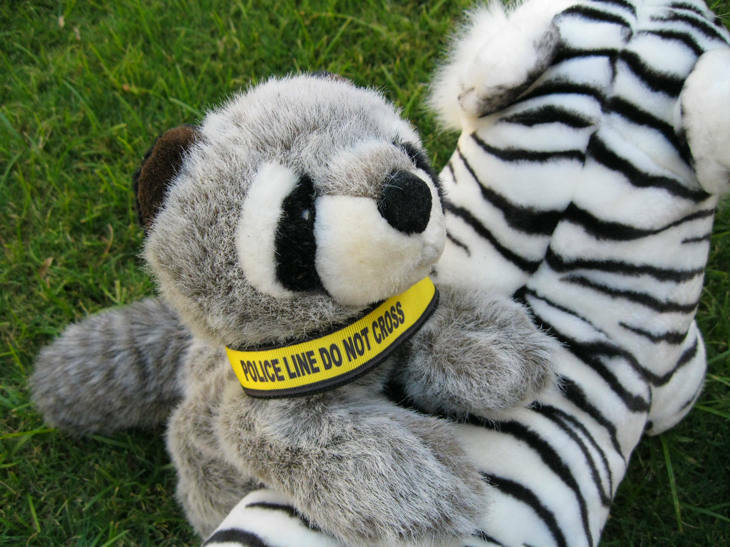 Or any fan of true crime! Please note! 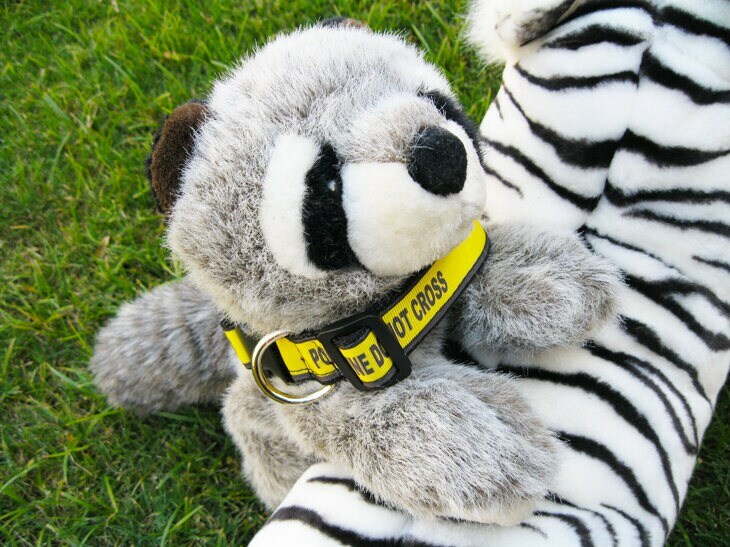 These collars are Fashion Collars. 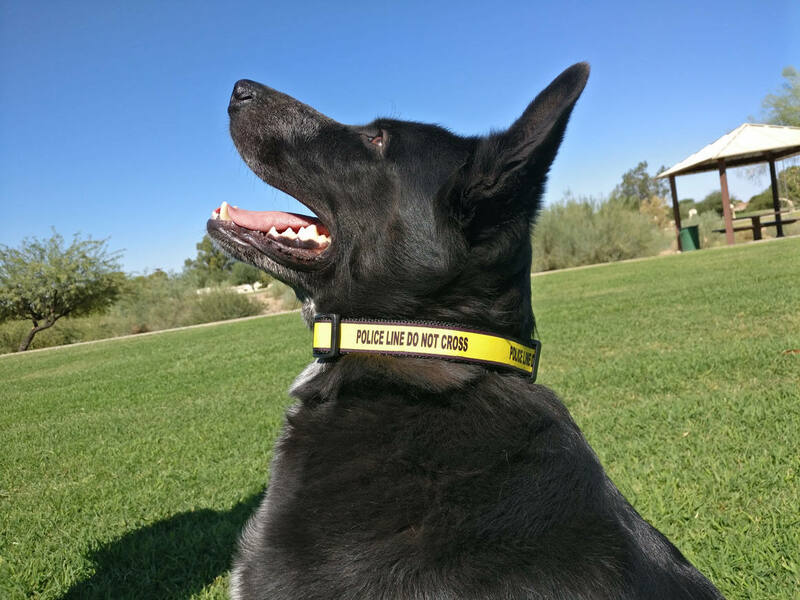 They can be scratched and the design ruined (though the collars themselves are amazingly tough and strong, we use them on my 88-pound GSD who pulls like mad, and my 75-pound Australian Kelpie). 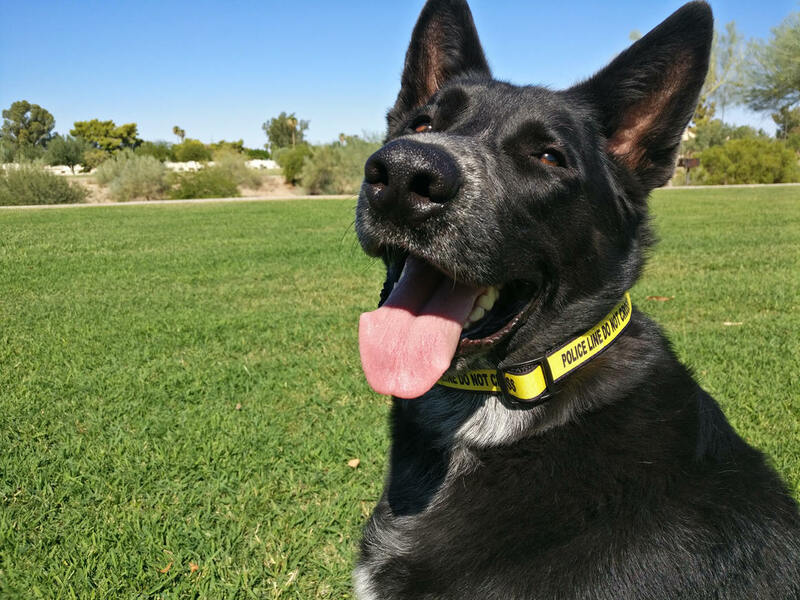 We can add a very basic Scratch Resistant coating for $2 extra, but be warned, they will not dry as fast after getting wet.. We have had dogs wear these collars for years without ever being removed, without the coating, but because of the materials used (ribbon) we like to provide this additional option.